There has been a lot of buzz around a new gel nail product. 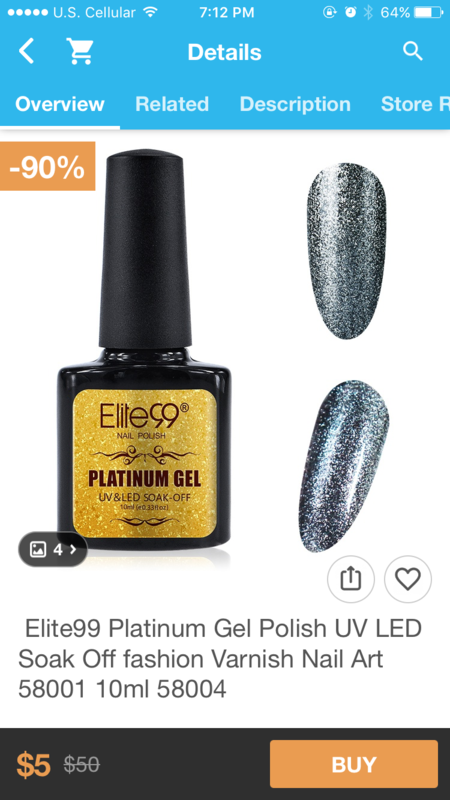 The Elite 99 Platinum Gel polish is supposed to be “super blinged” aka there’s a ton of glitter in it. Being that I’m a huge fan of Elite 99, gel nail polish, and all things glitter…. I decided to try it out. I purchased mine on Wish for $2, however the price has recently increased to $5 (assuming this is because of the demand for the product) and also you can purchase it on amazon for $5. I know that some people are uncomfortable making purchases with the Wish app. Regardless this is a cheap product. Now you have to have a light and the base and top coats already purchased in order to use the product so it can get pricier in that sense. The polish looks so good in person, and I really wish I could capture it better in a photo but I don’t have a nice camera that will focus on them. The polish is completely packed with glitter as it promised it would be and I really like it. 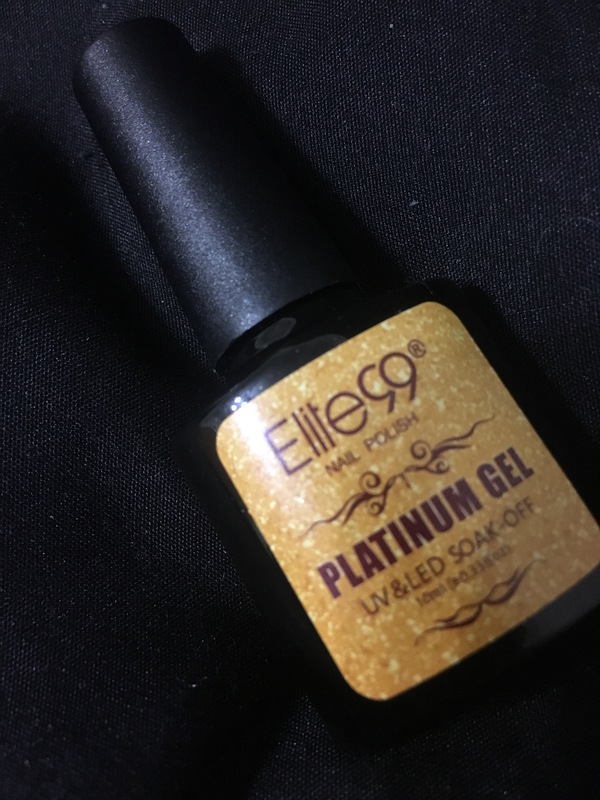 The only downside I found was that it took a little extra curing, the usual 30 seconds that my lamp cures wasn’t enough to make this gel polish completely solid. But overall, I think this product is worth the $5 if you like gel polish! It comes in so many other colors like pinks and golds and I’d really like to see those in person. Overall, I would recommend and will most likely purchase more. 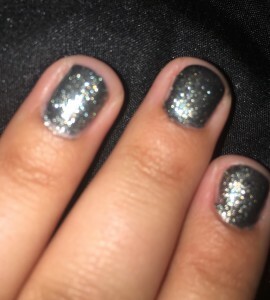 This entry was posted in Nails and tagged elite99, gel polish, glitter polish, platinum gel. Bookmark the permalink.